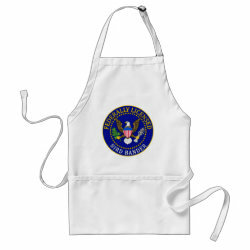 This design looks like an official seal. 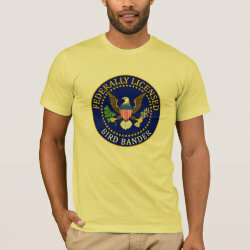 Text around the circular design reads "Federally Licensed Bird Bander". 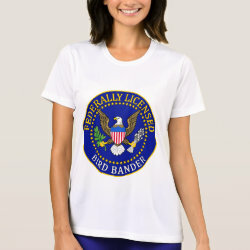 Within the text a circle of stars surrounds More... a majestic Bald Eagle. 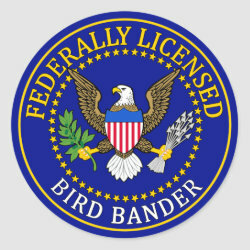 There isn't an official seal for banders, but wouldn't it be cool if there was? 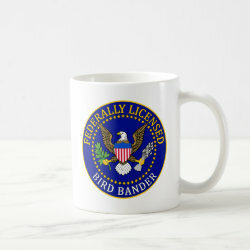 This makes a great gift for any bird bander.